Over 140 years ago, Captain Henry Martyn Robert wrote the first edition of what has come to be known as “Robert’s Rules of Order” (the Rules). This first edition spanned 176 pages and was intended to be a brief and simple guide for the average meeting-goer. However, after its publication, Captain Robert received numerous letters from readers inquiring about situations not specifically addressed in the first edition. This correspondence led to the publication of a more robust second edition only five months later. In 2011 the eleventh and most current edition was published, comprised of 669 pages of text, plus tables and an index, including responses to new questions and to technological developments since the publication of the prior edition (698 pages total!). The rules contained in the current edition of Robert’s Rules of Order Newly Revised shall govern the Society in all cases to which they are applicable and in which they are not inconsistent with these bylaws and any special rules of order the Society may adopt. Although it’s easy enough to adopt the Rules, organizations often don’t appreciate the practical implications of incorporating such a reference. We have highlighted five issues that commonly arise when an organization commits to following the Rules in its bylaws or other governing document. Conflict with Bylaws or State Law. Because the Rules contain a comprehensive set of guidelines governing meeting procedure, a situation may arise where the Rules conflict with an organization’s governing documents or applicable state law. The drafters of the Rules acknowledge this tension, outlining the hierarchy of authority as follows: (1) applicable law, (2) corporate charter (e.g., articles of incorporation), (3) bylaws or constitution (or both, as the case may be), (4) the Rules, (5) standing rules, and (6) custom. Even so, a board must understand how the Rules fit within the hierarchy before proceeding with confidence. To illustrate this, imagine “The Best Charity” (TBC) is an Illinois not-for-profit corporation and has drafted bylaws adopting the Rules as its parliamentary authority. The bylaws generally are well-drafted, except they do not indicate whether the board of directors may take action without an in-person meeting. 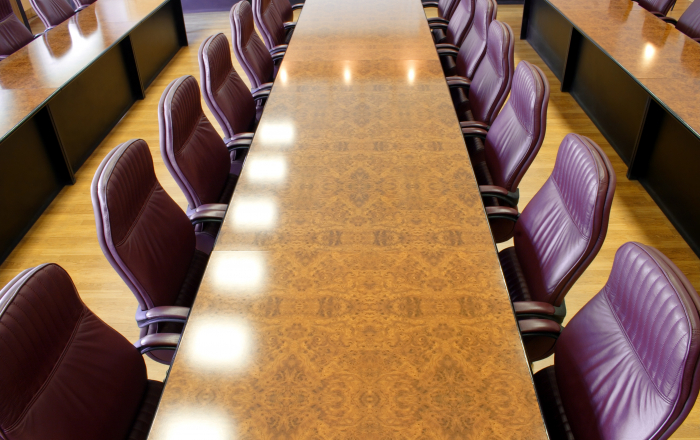 Because the bylaws did not address this issue, the chair of TBC’s board of directors, Careful Carmen, consults with the Rules and learns that a board can make decisions only during an in-person meeting of directors. Carmen advises the board accordingly. However, section 108.45 of the General Not for Profit Corporation Act of Illinois (the Act) states that “unless specifically prohibited by the articles of incorporation or bylaws,” any action which may be taken at a meeting of the board may be taken without a meeting if a consent in writing, setting forth the action so taken, is approved in writing by all of the directors (also called, “unanimous written consent”). State law always trumps the Rules. In this example, TBC was not harmed by failing to consult the Act instead of the Rules, but the outcome of such an error may not always be so benign. Accordingly, each board of directors should have a clear understanding of how the Rules fit within the hierarchy of applicable authority. Unnecessarily Cumbersome for Smaller Organizations. The Rules theoretically further the purposes of maintaining order and fairness; however, they likely are unnecessary and cumbersome for an organization governed by a smaller group of directors, trustees, or members. As an alternative, many organizations opt for a “consensus” model of decision making. In this model, a board member introduces an idea or proposal, encourages discussion of the pros and cons among the entire board of directors, amends the original proposal, if necessary, and then seeks a consensus before calling for a vote. The consensus model is not perfect, but it generally avoids the tediousness intrinsic in the Rules and allows a board of lay persons to make decisions without the expertise of a parliamentarian. Deference to the Parliamentarian. To properly understand and apply the Rules, a board of directors likely needs to elect or regularly consult with an individual well-versed in parliamentary procedure. As stated earlier, the most recent edition is comprised of 698 pages, making application of the Rules no easy task, especially if a dispute breaks out about a procedural issue. However, having a parliamentarian on your board could cut both ways. For instance, a board member who regularly says “that’s not what the Rules say” may possess a thorough understanding of the Rules, yet simultaneously wield his power in a way that is unfair to the other board members. Indeed, a well-meaning board of directors may be tempted to defer to the parliamentarian’s interpretation of the Rules, even if the majority might interpret the Rules differently. In an extreme case, reaching a stalemate may mean that an organization must hire a professional parliamentarian and possibly an attorney to settle a disputed issue. Failure to Abide by the Rules. Though there surely are some organizations that follow the letter of the Rules, many others conduct meetings, carry on business, and make decisions without regard to what the Rules actually require. This raises the question: What happens when an organization requires adherence to the Rules in its bylaws but in practice the board of directors does not abide by its procedures? In many instances, failure to abide by the Rules will not have any practical effect—unless and until someone questions the validity of a decision made when the board did not observe the proper procedure. For example, in the context of bond deals, counsel for a tax-exempt borrower must feel comfortable that the borrower’s board of directors obtained proper approvals when executing the various deal documents and covenants. A reference to the Rules in the borrower’s bylaws could make it difficult for counsel to give an opinion, especially if the board cannot confirm that it carefully followed the Rules during its meetings. Similarly, a disgruntled director could refuse to leave office following a removal vote based on his position that the removal vote did not comply with the Rules. The board of directors will be left in the unenviable position of needing to engage in a parliamentary debate with a challenging director before being able to remove him. Reference to an Outdated Version. One last consideration is that a poorly worded reference to the Rules in the bylaws may create uncertainty as to which version of the Rules should govern. As mentioned previously, there are 11 editions of the Rules in publication, and a statement such as, “The organization shall follow Robert’s Rules of Order,” may create ambiguity as to which version should apply. For example, should the version that was most recent at the time the bylaws were adopted govern, or the most recent version in effect from time to time govern? In addition, the earliest versions of the Rules are no longer protected by copyright, and several authors have republished variations of the original under similar names. After describing the dangers and pitfalls of referencing the Rules, it is possible that an organization with a large body of voting members, such as a parliamentary or legislative body, could benefit from following the Rules during its meetings. But that is most certainly the exception rather than the rule. The overwhelming majority of non-profit organizations should avoid incorporating any reference to the Rules in their governing documents because of the complexities described above. The attorneys in the Tax-Exempt Organizations Group at Quarles & Brady regularly advise non-profit organizations on governance best practices and are happy to discuss whether your organization should include (or remove) a reference to the Rules in its governing document.